​Our Lady of the Magnificat is a summer mission parish that serves the Catholics in a number of Fire Island communities: Ocean Beach, Seaview, Ocean Bay Park, Point O'Woods, Cornielle Estates, Summer Club, and Robbin's Rest. The parish operates weekends-only in the Spring and Fall, and full time in the summer months. The Parish was founded in 1920 as a mission of St. Patrick's in Bay Shore. At the time, the community at Point O'Woods was organized as an exclusively Protestant community and Catholics quickly flocked to Ocean Beach, building their bungalows around their Church, contracted in 1921. The Rectory is an Islip farmhouse barged to the island for this purpose. 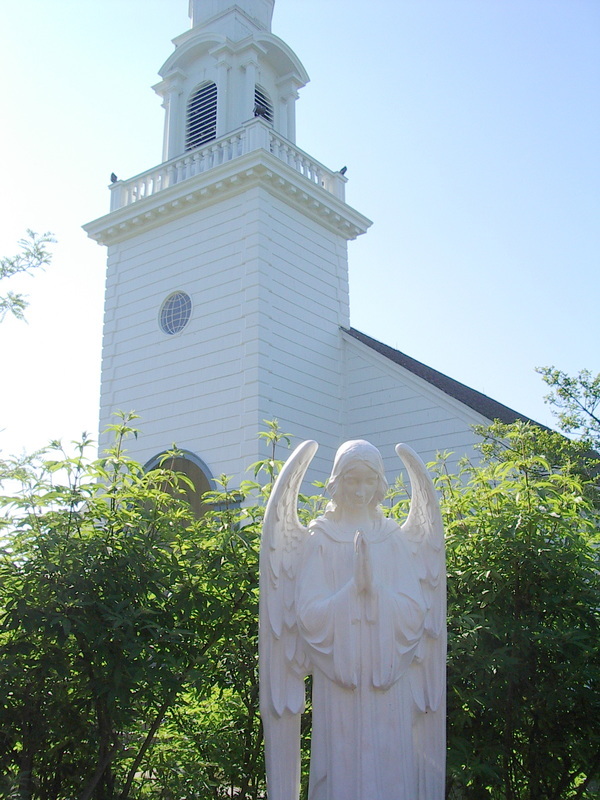 As the Parish grew and more families made their permanent home on Fire Island, the Parish became independent of St. Pat's in Bay Shore. During the 40's the steeple was added to the Church giving its current appearance. Today the Parish is a mission of the Diocese of Rockville Centre and it serves a now almost entirely seasonal populace. The Parish is administered by Msgr. Richard Henning, Rector of the Seminary of the Immaculate Conception in Huntington. He is assisted in the summer by Fr. Gregory Rannazzisi and other visiting priests.